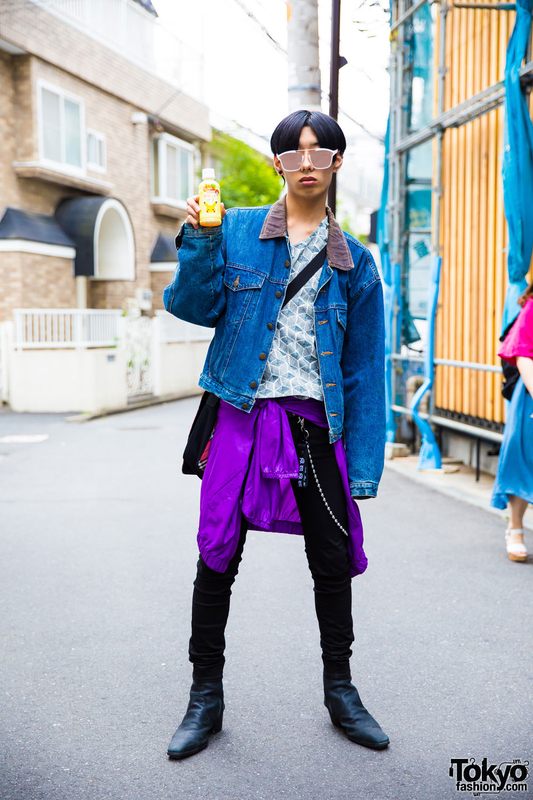 Harajuku model sporting denim-on-denim fashion trend while out and about. 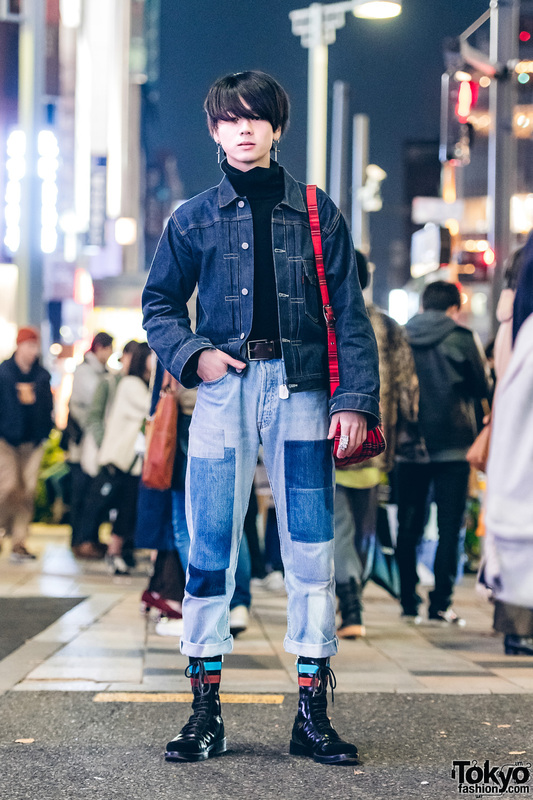 Harajuku fashion college student in streetwear look w/ denim jacket over printed shirt, jacket tied around the waist, skinny pants, heeled boots and a plaid sling bag. 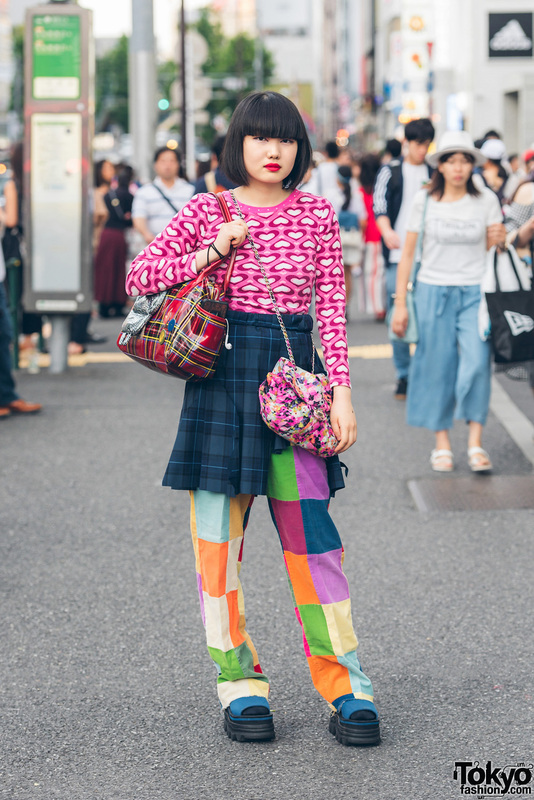 Bunka Fashion College student wearing a Vivienne Westwood shirt and stockings with an a.v.v coat and Topshop heels. 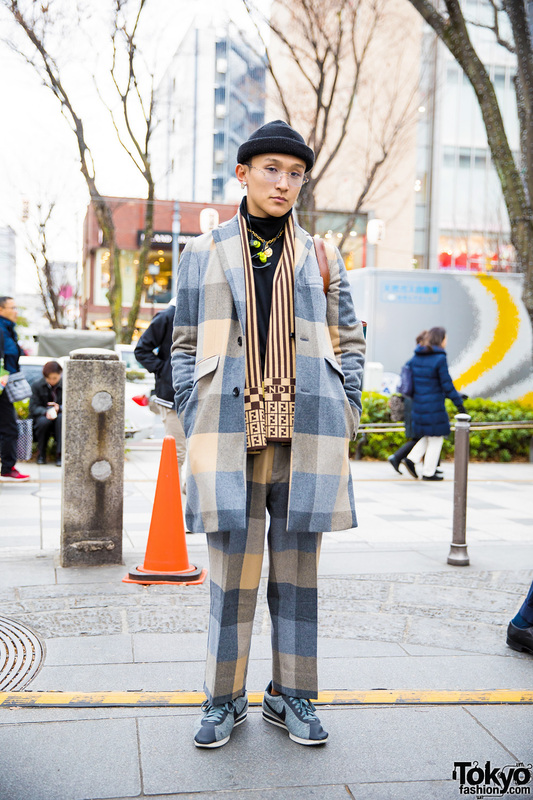 A Japanese girl and guy on the street in Harajuku – the girl is an illustrator who is wearing a shirt featuring her own illustrations.